Can Dogs Eat Sunflower Seeds? Are Sunflower Seeds Good For Dogs? Today’s question: can dogs eat sunflower seeds? Scroll down for detailed answers. Sunflower seeds are used predominantly as a snack or garnish for humans. Frequently sold salted and in packages, they have become a favorable snack on a global scale. They are a healthy alternative to peanuts or potato chips, containing less fat than both, with 100 grams containing just 585 calories. With so many people conscious of their dietary intake and their calorie contents, adding sunflower seeds to one’s diet may be deemed useful, wise, and economical. The ease of attaining sunflower seeds is high, given that the seeds are prepackaged and sold at most every store and market. Seeds may not be easily grown at home and used in this manner, but seeds are easily found among other sources. The sunflower seed is a rich source of protein and fiber, as well as B and E vitamins. Sunflower seeds also contain relatively high levels of magnesium, phosphorus, zinc and iron. Those who are conscious of their health and are attempting to modernize their diet to one that is more natural and vitamin rich may seem the sunflower seed an excellent choice of a snack or an addition to their meals. While these seeds may be a healthy snack for humans, like many foods, they may not be as healthy for our dogs. 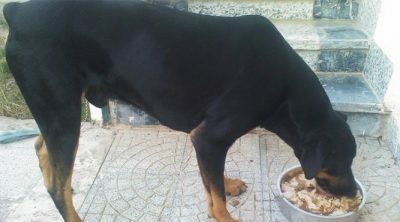 Dogs should eat a modern, natural, and healthy diet just as their owners, but not all of the foods meant for humans may be offered safely to their dogs. You may wonder: can dogs eat sunflower seeds? Can Dogs Eat Sunflower Seed Oil? Yes, you can feed sunflower seeds to your pooch. However, there are some precautions you should watch out for before feeding them to you pup. All new food should be tested on your dog first, by offering small amounts and only on occasion. Verifying the food is safe for you dog by speaking to a vet is also a good investment of your time given the side effects that could occur. Sunflower seeds should be served to you pooch shell free and unflavored (salt free). If offering sunflower seeds to your pet to boost the health and vitamin levels of your dog, do not use seeds that have added salt. The added salt can raise your dog’s blood pressure and overall salt content within his/her body. Salt is not necessary for dogs given that their prepared dog food offers the sodium levels in which they need to remain healthy. Shells also have potential to cause harm to your dogs. Shells may get stuck in the digestive track, blocking the intestine. Intestinal blockage can cause death and is best avoided. 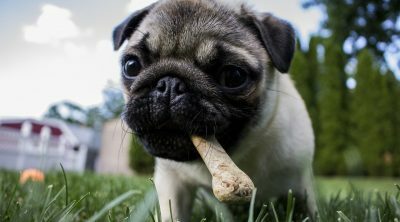 Shells may also become stuck in between the teeth of your dog, causing tooth decay. Uncared for teeth may also produce a host of other dental problems that in turn evolve into health problems. In the event your dog has eaten sunflower seeds with their shells, be sure to brush your dog’s teeth and check for seeds stuck within. Also keep an eye on your dog to be sure s/he is not suffering from extreme stomach upset, bloating, or potential blockages. Sunflower seeds are naturally high in essential fatty acids, which will help your dog maintain a healthy coat and skin. While foods high in fats should be avoided, natural and healthy fat is important. Differing between good and bad fats may be difficult to determine, but when in doubt, research the effects and also speak with a veterinarian. With healthy fats, the skin and coat of your dog may remain in top condition and not develop the itchy rashes and unsightly tough coats other dogs experience. Offering your dog a healthy coat and smooth skin is a gift for the both of you not simply on a level of vanity, but on overall health. 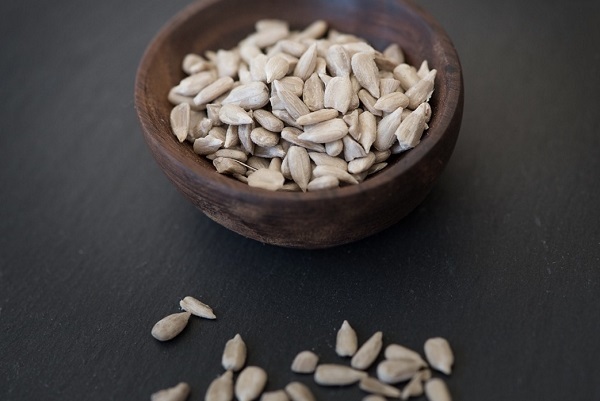 Sunflower seeds are also high in iron and vitamin E, and free from saturated fats. In fact, just an ounce will provide your dog with its daily supply of vitamin E. Being free from saturated fats is a bonus given that the saturated fats are the fats that should be most avoided. But the truth is, if your dog is consuming a quality dog food, it is completely unnecessary to add sunflower seeds to their diet. They are unnatural to a canine’s diet, despite offering some decent nutritional value. Adding nutritional value to your dog’s diet may be important, however, adding the nutrients form the source of seeds is not. The added nutrients may come from a meat source or from the dog’s food. IN the rare instance your dog truly needs the extra vitamins, a supplement can be offered in lieu fo sunflower seeds. On the other hand, recent studies have claimed that sunflower seeds can relieve stress in dogs, when fed to them in moderation. Rich in vitamin B8 and selenium, it has recently been claimed that sunflower seeds can make your dog happier. They can also be used to treat depression and neurasthenia. So if you have a dog that seems a little sensitive, sunflower seeds are apparently one of the best dog treats for them. If your dog is prone to anxiety on or around the holidays and loud noises, offering sunflower seeds may seem to help offset the upset of the loud noises and changes in atmosphere. However, dogs do not generally become depressed or anxious in the manner that humans do, and the dog does not necessarily need a supplement to address an issue more than s/he needs love and attention. Attention, walking, car rides, and changes of scenery may offer the same amount of happiness to your dog as the vitamins from a human source of food. There is not a lot of evidence behind the study of sunflower seeds being good the depressed mood of a dog, as the news is relatively recent. If you find that your dog is a little under the weather, it is probably because you have not walked him or her in a while, or given him/her enough attention. Take you do g out more regularly and offer a chance to run at a dog park, or a visit with their doggie friends. In the event your dog cheers up, you know the sadness spell has passed and your behaviors need modification, not your diet. Try attention and fresh air to your depressed pup first, and then try giving your dog a small sprinkling of sunflower seeds over its food and see if s/he improves. DO not use seeds as the first line of defense on a moody dog. Yes, they can. 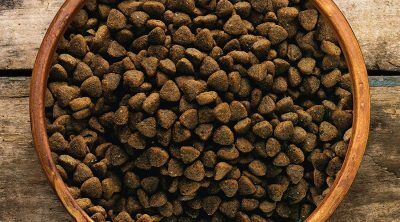 Many high quality dog food producers use sunflower seed oil in their mixes to provide a natural source of fatty acids to the dog’s diet. Sunflower oil is a linoleic acid, it’s created by extracting the oils from sunflower seeds. Sunflower oil makes it a better choice than many other oils since it is low in saturated fat. Some owners even take it upon themselves to add small amounts of the oil to their dog’s food to tackle minor skin and coat issues that are not caused by hormonal or endocrine imbalances. However, it is always a good idea to check with your vet before you begin supplementing your dog’s diet. Your vet is likely to remind you that the dog food offered by reputable retailers has been specially formulated to meet all of the dietary needs your dog possesses. In the event you wish to clear a rash or skin issue in your dog, using a topical cream with sunflower oils may be better than offering the sunflower seed for ingestion. Many sunflower seeds varieties contain salt. It is very easy to give your dog too much salt when thinking of healthy snack to give them. Most often this happens with nuts. But sunflower seeds, when sold as snacks for human consumption, are more often than not salted. Too much salt in a dog’s diet will inevitably result in sodium toxicosis, which ranges in severity from moderate to life threatening. Common signs of sodium toxicosis include vomiting, diarrhea, nausea, lethargy, excessive thirst and urination, and seizures. In many cases, you will see your dog wobble in its walking, as if it was drunk. This is perhaps the most obvious sign. Yes, salt is quite poisonous for our pets, despite previously being used to induce vomiting by vets. This is certainly not a common practice anymore. But salt is not always found solely in the kitchen. You need to keep it out of reach in all its forms, such as Play Dough, rock salt, paint balls and all sorts of random household items. If you think your dog has eaten a significant dosage of salt, call your vet immediately for treatment that could save its life. Salty snacks are definitely something for dogs to avoid. And as their owners and providers, we take a lot of responsibility for them in that regard. Despite their high fat content, nuts are generally non-toxic for dogs, and especially when they are unsalted. The same can be said for sunflower seeds. While they do offer nutritional value, the potential salt content is dangerous for dogs. But providing them with a sprinkle of unsalted sunflower seeds on top of their regular dog food is a perfectly safe way of giving them some extra minerals and vitamins. There are a number of other factors to be considered here, however. When purchasing non-salted sunflower seeds, you will often find that they are still shelled. If a lot of sunflower seed shells are digested, you are going to find your dog in some distress. Shells are not very digestible and they could become stuck in the GI tract and possibly create an obstruction, depending on the size of your dog. Although quite nutritious, sunflower seeds are also quite high in fats, which dogs struggle to digest. So it is a good idea to limit the amount of sunflower seeds you feed them, or rather, limit the frequency at which you feed them sunflower seeds. And you should always ensure that they are the unsalted variety and without shells as these pose numerous hazards, such as sodium toxicosis and digestion troubles, as well as choking hazards, particularly in puppies. It should also be noted that sunflower seeds may pose an allergy risk to your dog, so if you are going to try lightening the mood with some sunflower seeds, do so responsibly by giving just a few and observing the reaction. You might make your dog’s depression sincerely worse by making it sick on top of the burdens it already confronts. If the dog has already displayed allergic reactions to certain foods, it’s probably quite a sensitive dog and so you should just assume not to give it sunflower seeds. But the truth is that there’s really no need to feed your dog sunflower seeds. They probably won’t even like the taste. The nutritional content of sunflower seeds, although beneficial, are found in numerous other food type that are much more natural to a canine diet. 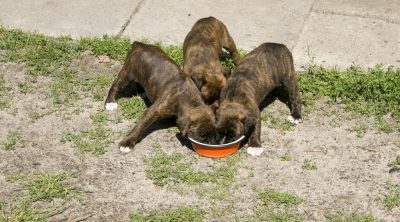 A well rounded, high quality dog food is a much better option for your dog. They don’t need the kind of variety that humans do and they certainly don’t crave it. 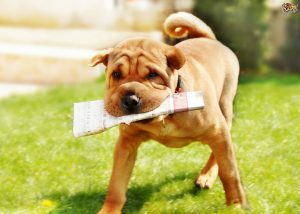 While many owners like to experiment with all sorts of dietary supplements, the best advice is to stick as closely as possible to the natural diet of your dog. Before canines were domesticated they would have lived on a meat-based diet, much like wolves still do today. If at all possible it is best to follow this diet. Any other additions can wreak havoc on your dog’s digestive system, which just isn’t made in the same way as ours. 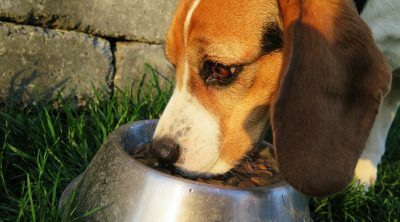 High quality dog food brands are careful to use lots of meat, with no low quality fillers. While no one is suggesting that sunflower seeds should make up any great proportion of your dog’s diet, the same principle applies. It is unlikely that dogs would have chosen to eat sunflower seeds in the wild, so unless your vet specifically recommends them it is best to leave them out of your furry friend’s regime. 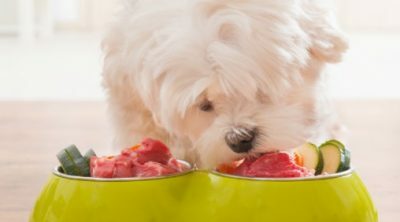 While there may be certain benefits for specific conditions, there are plenty of reasons to stick to a meat-based diet in order to keep your pet happy and healthy. Dog Training will solidify your bond with your buddy.